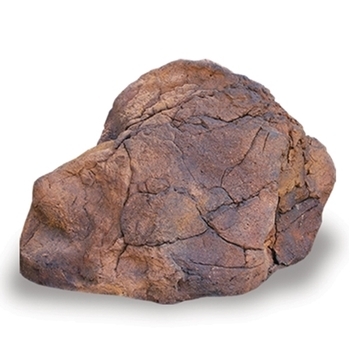 Universal Rock Bubbling Rock 003 is made or synthetic material, making it light weight and very realistic. It has a single 1 1/2" outlet. To get the best results we recommend a 900 gph pump. Dimensions: L29" x W18" x H18"